The same road that everybody seems to have forgotten is, perhaps, Americas most important road! Begun with private (not government) efforts, built to create new roads and literally change the way America would travel forever...spawning restaurants, service stations, motels, even the American vacation...this road desperately needs its history preserved and its story told  and we are working hard to do it...but we need your support. 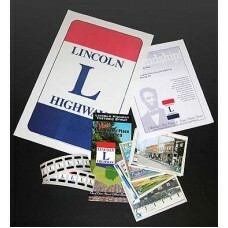 The Ohio Lincoln Highway Heritage Corridor (Ohio Lincoln Highway Byway) is a 501 (c) 3 organization. Please note: Friend of the Byway membership does not include an Ohio Lincoln Highway Heritage Corridor Membership. If you are interested in joining the OLHHC please click here.